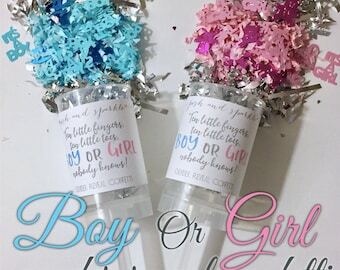 Need a thrilling way to announce your new baby’s gender? 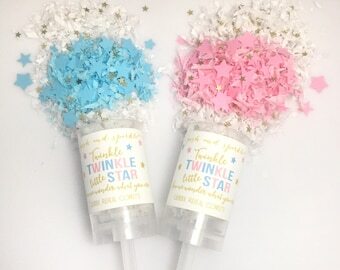 Then our “He or She Let’s Pop It and See” Confetti poppers will be something everyone at the party can join in on … and make for the best photos! 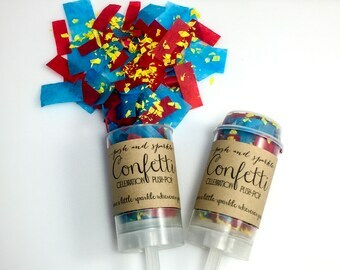 Just take the lid off and push the stick up with the palm of your hand for an exciting, harmless explosion of confetti! 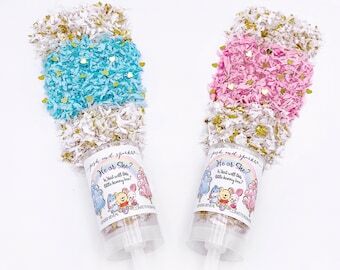 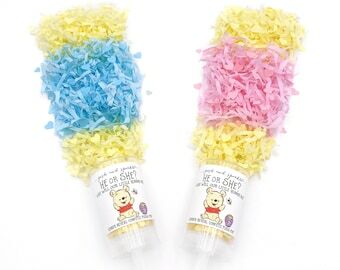 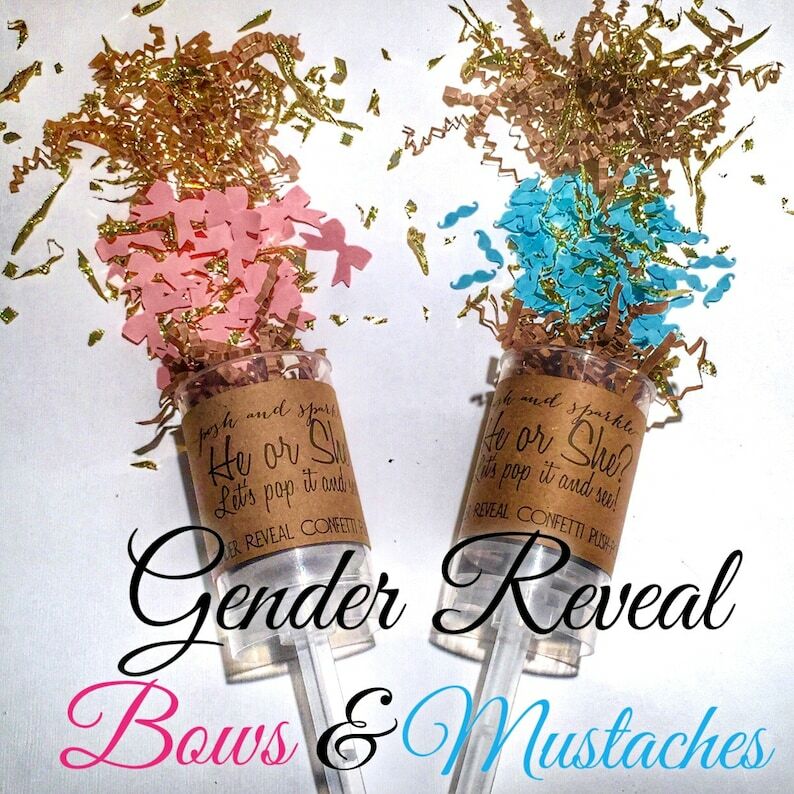 🎉 Each end is filled with Kraft crinkle-cut confetti and gold foil pieces and in the middle with light pink bow shapes & confetti shred (for a GIRL) OR light blue mustache shapes & confetti shred (for a BOY). 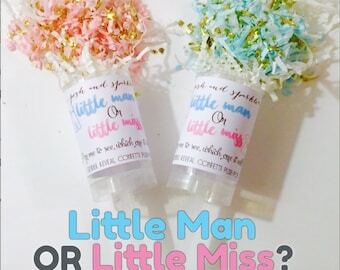 🎉Label reads: "He or She? 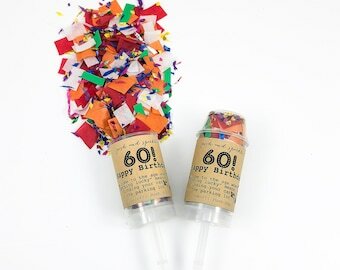 Lets pop it and see!"